The ventilated limestone-based, non-slip neoprene liner conforms to the horse, allows heat and moisture to escape, and keeps the horse comfortable. 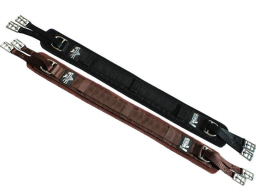 • A detachable neoprene liner peels away from webbing for easy washing. 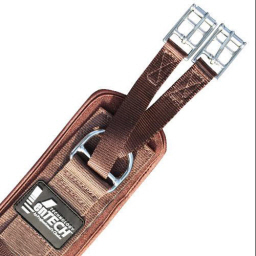 • The VenTECH™ Equalizer Girth has a reinforced steel equaliser, which allows pressure to be evenly distributed to the billets to ensure a secure fit. 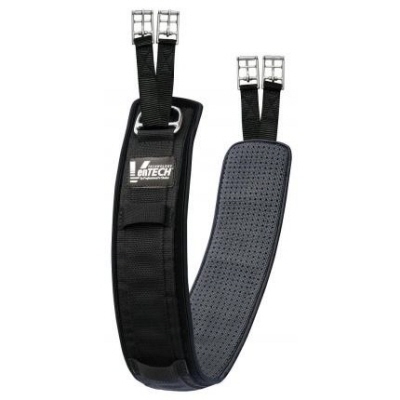 • Heavy-duty webbing with reinforced nylon stitching provides durability, while the ventilated waffle-patterned, non-slip neoprene holds saddles in place without over tightening.